It's all about prevention, early detection, and education! We recommend scheduling a wellness visit for your pet every 6 months. During this appointment, our doctors will do a thorough nose to tail physical examination, address any questions or concerns you may have, update routine vaccinations and laboratory tests, and make recommendations based on their findings. As of 11/26/2018: $96,173.04 donated to DIAH on Wheels! 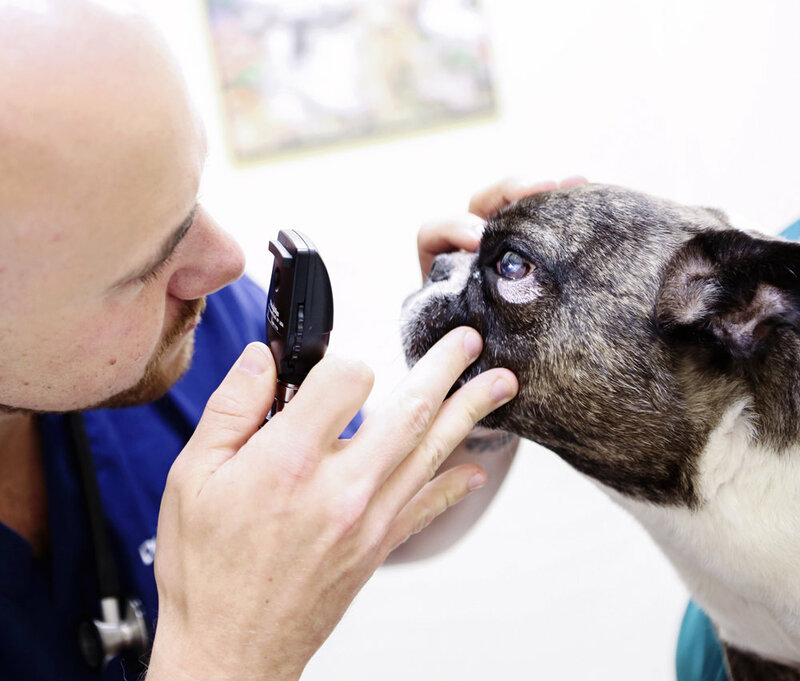 As pets age much more rapidly than humans, our veterinarians feel 6-month wellness visits are the most advantageous frequency of examination for early detection of illness. This would be comparable to a human visiting their doctor (a primary care physician, dentist, and optometrist all rolled into one!) every 2-3 years. Our doctors will work with you to help determine which vaccines and tests are most beneficial for your pet based on age and lifestyle. When appropriate, we use an extended length vaccine protocol to reduce the frequency of administration. Annual parasite screenings lifelong and senior bloodwork starting at age 7 is recommended for all dogs and cats. Year-round parasite preventions (flea, heartworm, and intestinal) are recommended by our doctors for both indoor and outdoor patients. We can help you determine which product(s) are best for your pet based on lifestyle. For your convenience we dispense the products our doctors recommend most at our hospital and through our online pharmacy. Always choose an age-specific formula (growth, adult, or mature) and avoid "all-stage" diets. If your pet has a food allergy or any other other medical problem, over-the-counter diets are inappropriate choices; you will need to feed a medically formulated diet prescribed by one of our veterinarians. This will save you money, help your pet feel better, and reduce your visits to our hospital. Watch the pet food recall lists. For up-to-date information, visit the AVMA Pet Food Safety website. CLICK HERE to review and print the list of diets our doctors recommend for healthy dogs and cats. This list includes diets that can be purchased from pet boutiques such as Lucia's Premium Pet Store on Daniel Island, "big box" retailers such as PetsMart and PetCo, our hospital's home delivery service, and your grocery store.